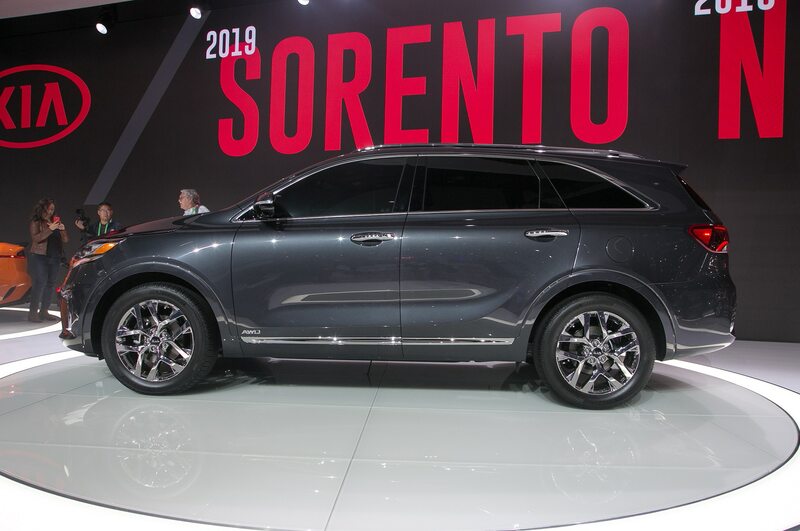 Before Kia adds a new full-size crossover potentially inspired by the Telluride concept, the automaker has packed the 2019 Sorento with more features and an updated powertrain lineup. 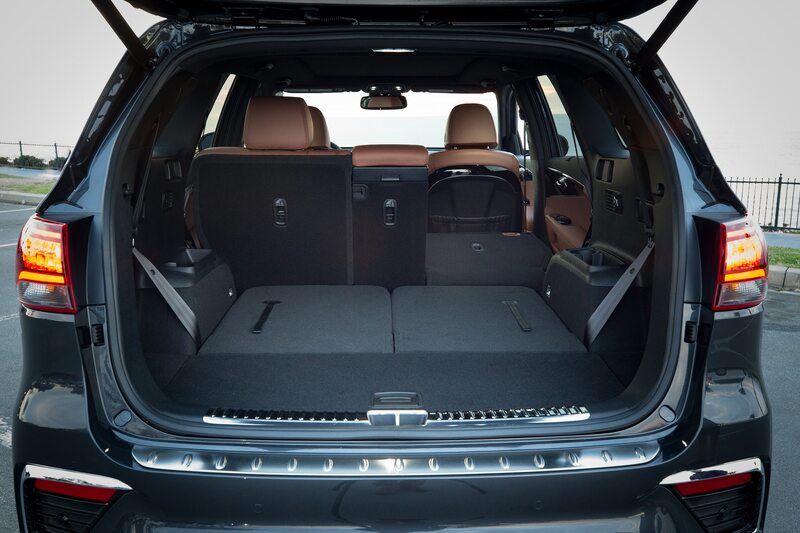 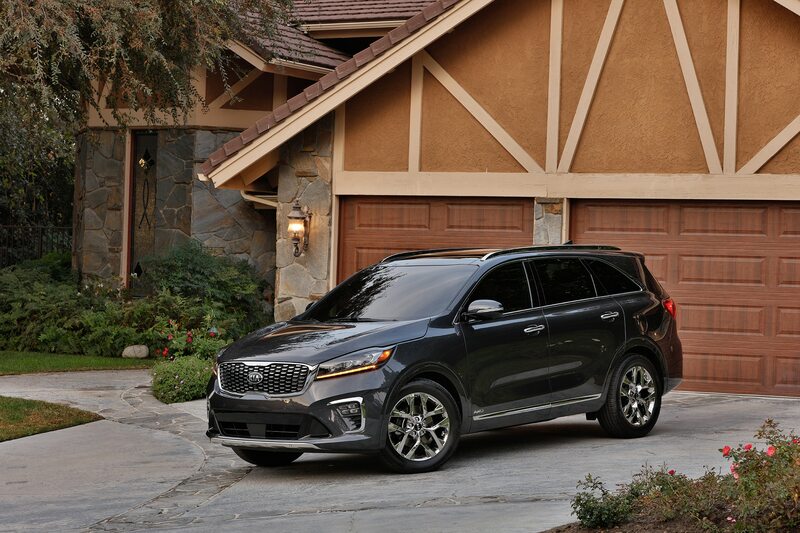 Available in front- or all-wheel-drive configurations, the 2019 Sorento now comes standard with seating for seven on all models. 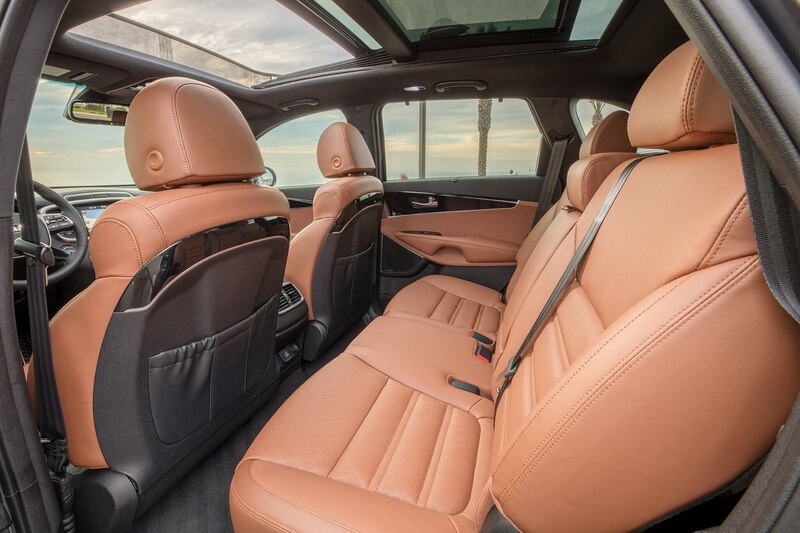 Higher-grade SX and SXL trims are now more luxurious with improved cabin materials, new features such as two-way lumbar support for the front passenger, Nappa leather upholstery in Mahogany or Terracotta two-tone schemes, and a new Harman Kardon premium surround sound system. 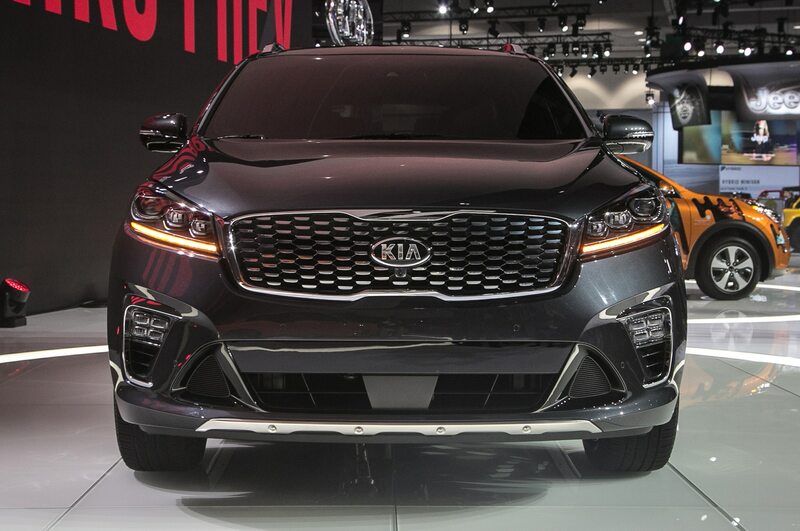 Exterior changes include revised front and rear fascias, new optional full LED headlights, taillights with new lighting patterns, and slimmer ice cube LED foglights. 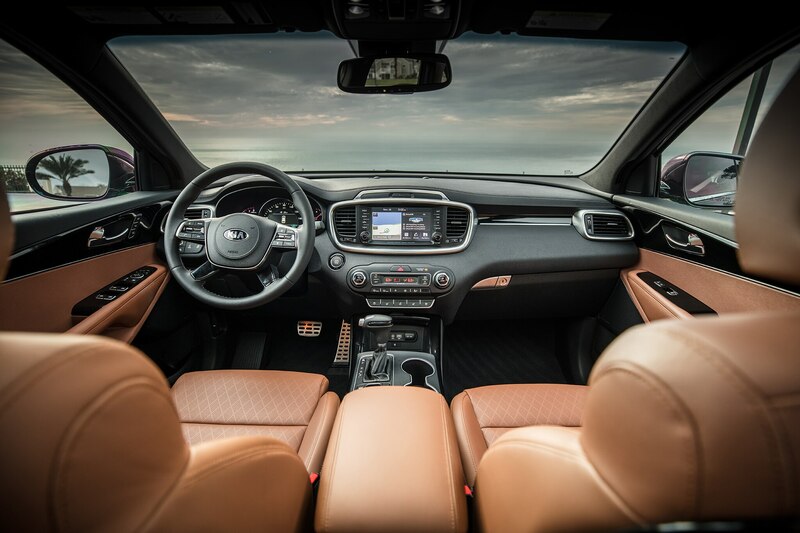 On the tech front, the 2019 Sorento gets an updated infotainment system with Apple CarPlay and Android Auto standard across the lineup and a standard 7.0-inch touchscreen even on the base L trim. 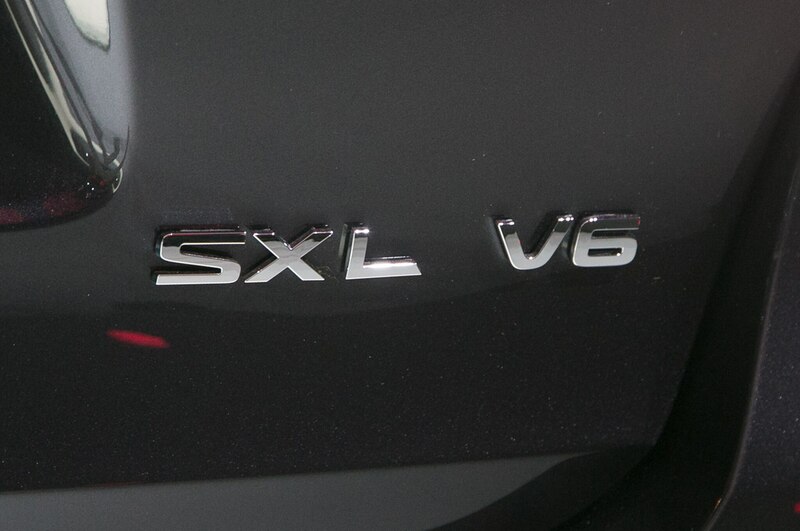 Higher-grade models get a larger 8.0-inch touchscreen. 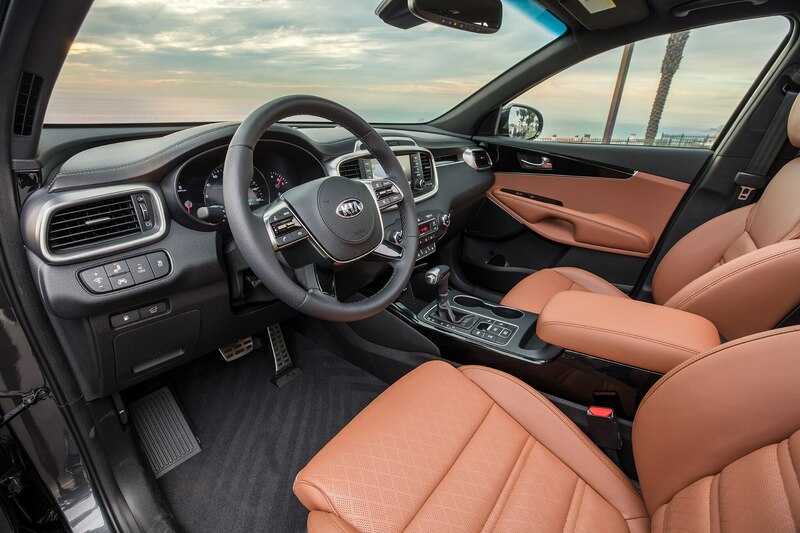 A wireless charging pad is now available and is compatible with Android devices and the new Apple iPhone 8 and iPhone X. 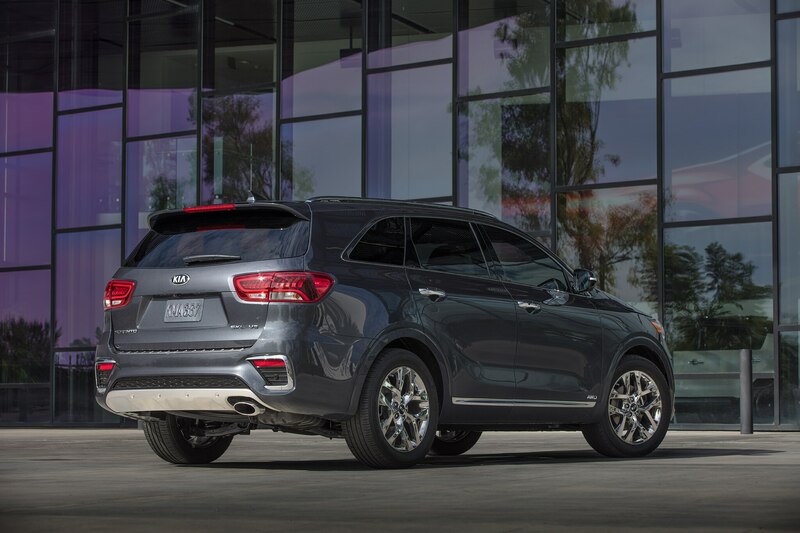 Under the hood, the big news is the addition of updated transmissions. 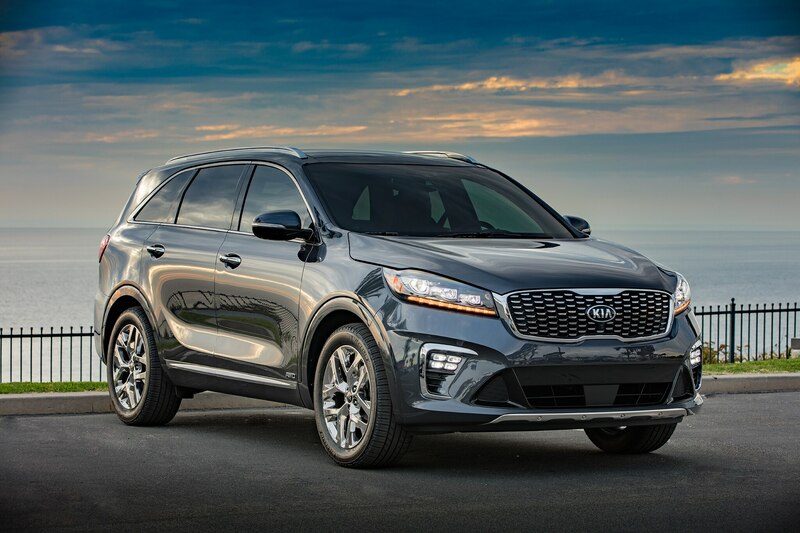 The base 185-hp 2.4-liter I-4 comes with a revised six-speed automatic, and the 290-hp 3.3-liter V-6 gets the eight-speed automatic from the Cadenza full-size sedan. 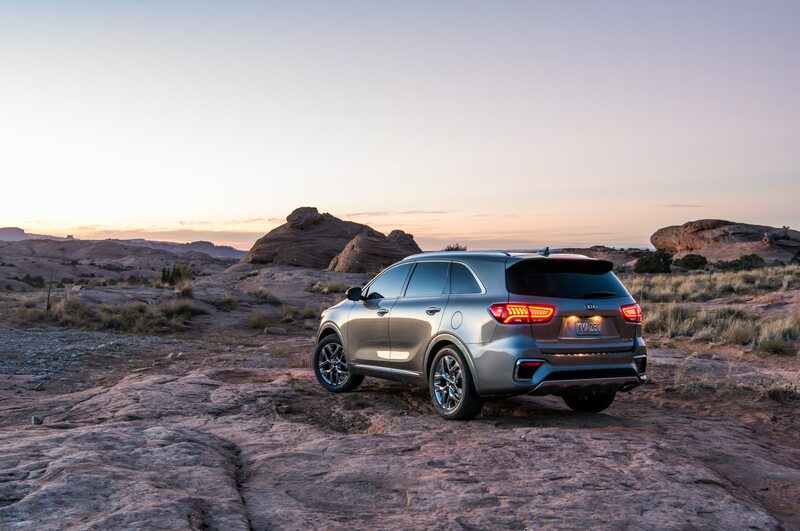 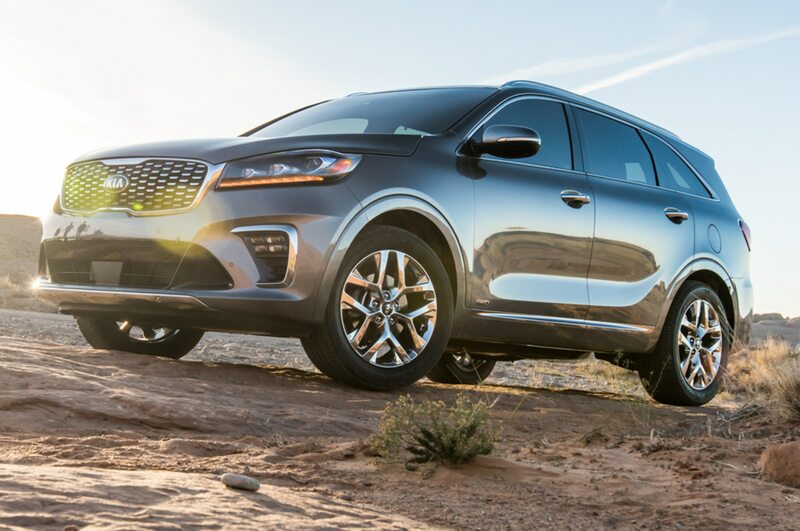 With the V-6 and all-wheel drive, the 2019 Sorento can tow 5,000 pounds when properly equipped. 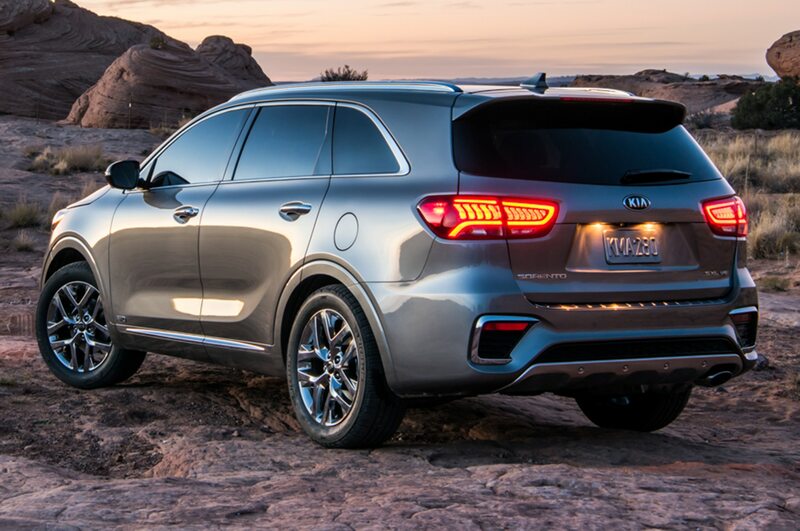 The 2.0-liter turbo-four, however, has been discontinued. 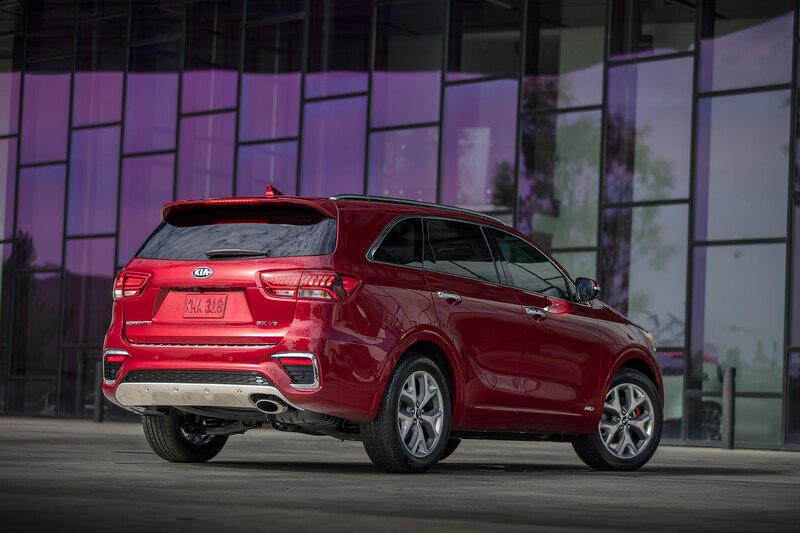 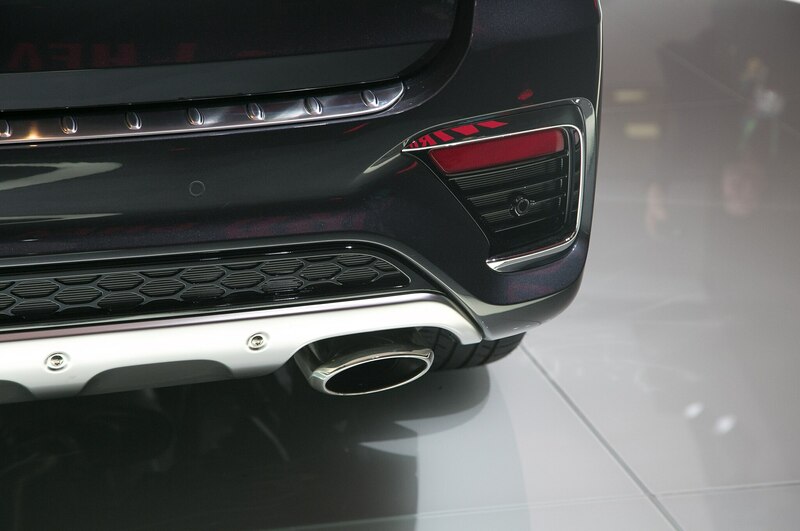 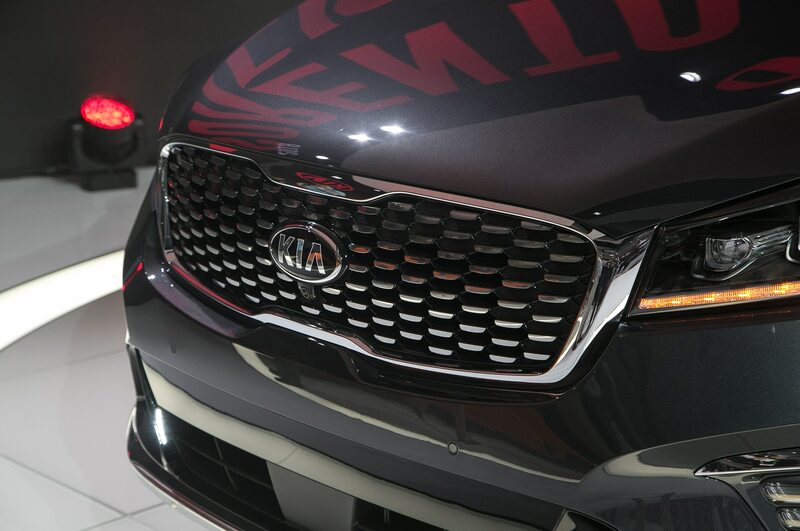 In the future, Kia will add a diesel engine option for the Sorento and says that it will feature the latest emissions control technologies. 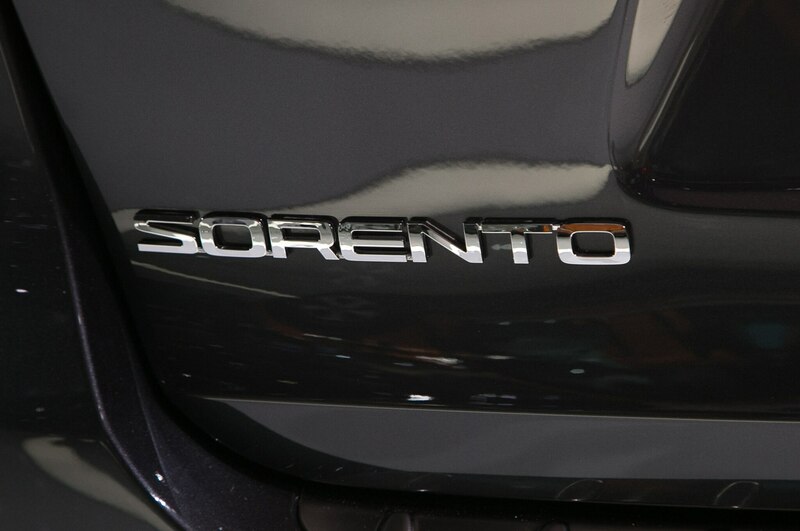 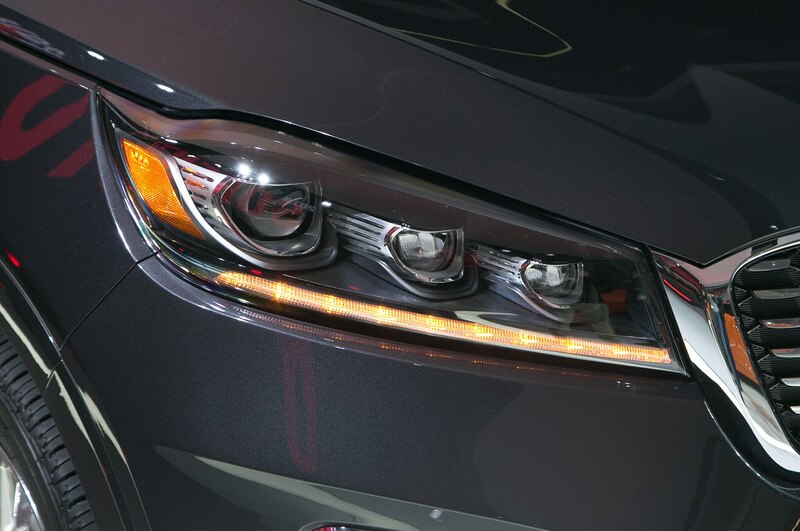 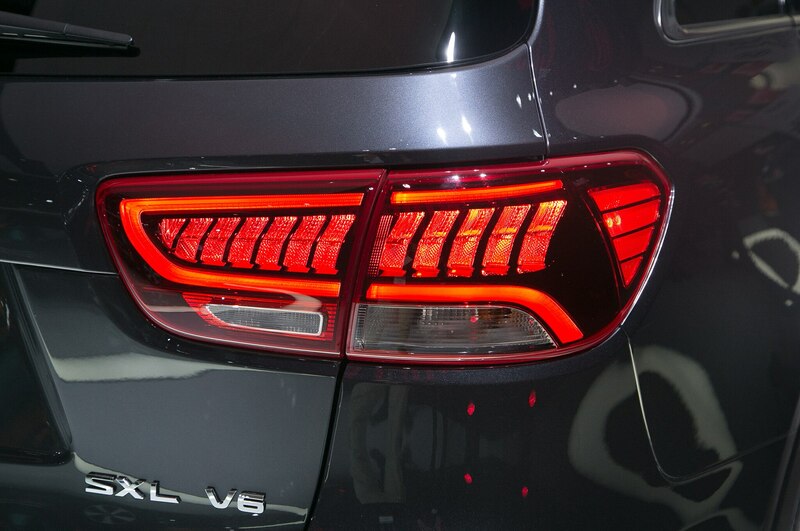 More information on the diesel-powered variant of the Sorento will be announced at a later date. 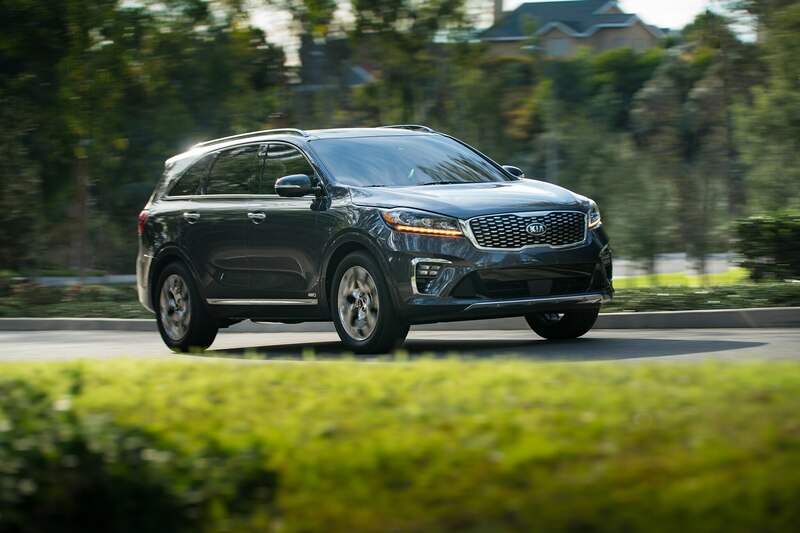 On the safety front, all 2019 Sorentos from the EX trim and higher now come standard with a suite of active safety and driver assistance features, including forward collision warning, automatic emergency braking, and adaptive cruise control. 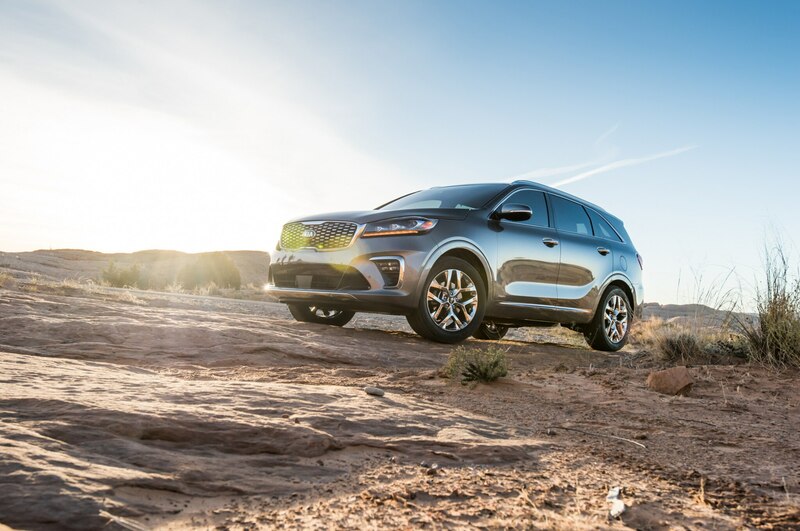 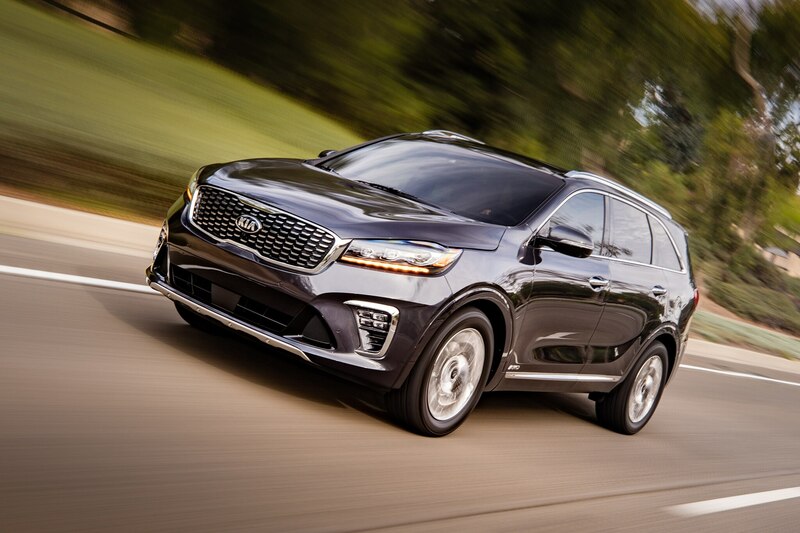 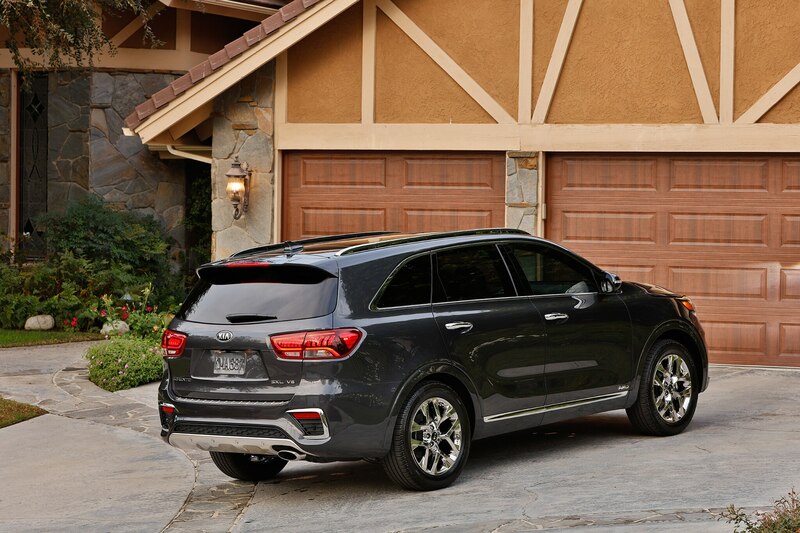 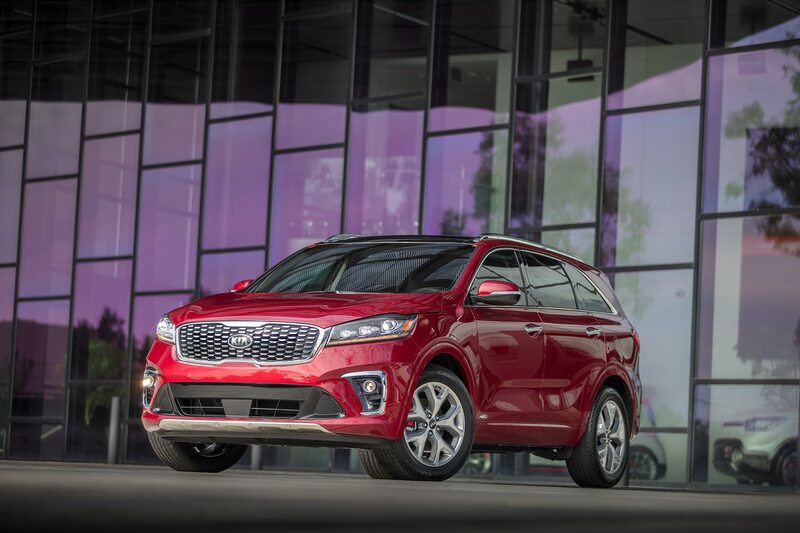 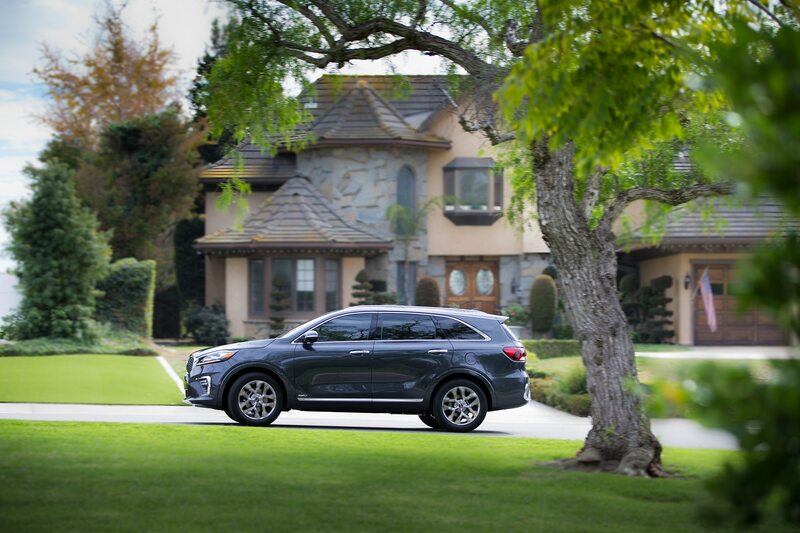 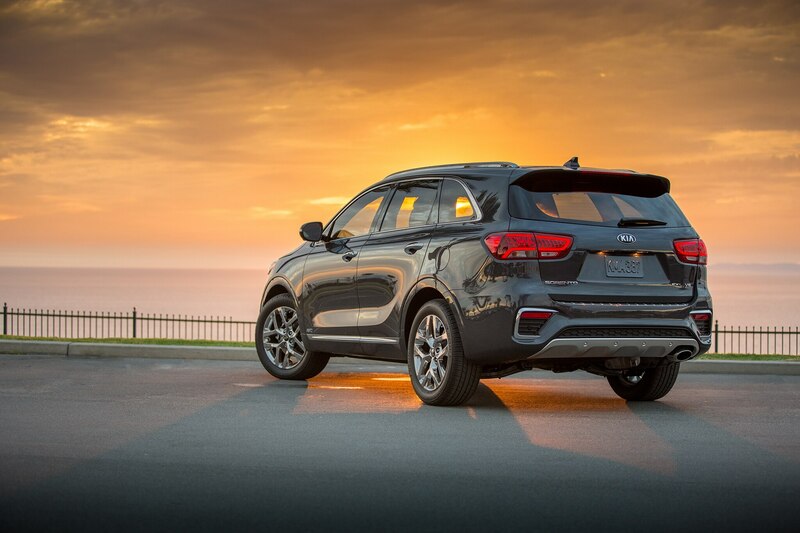 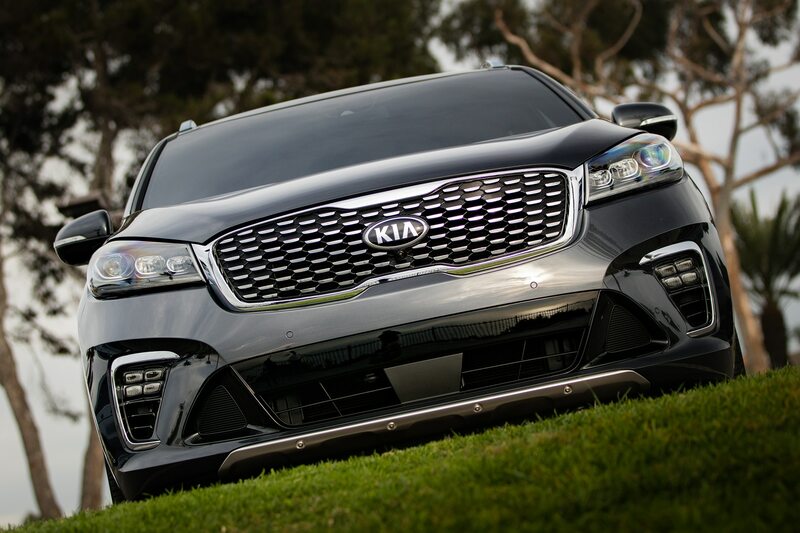 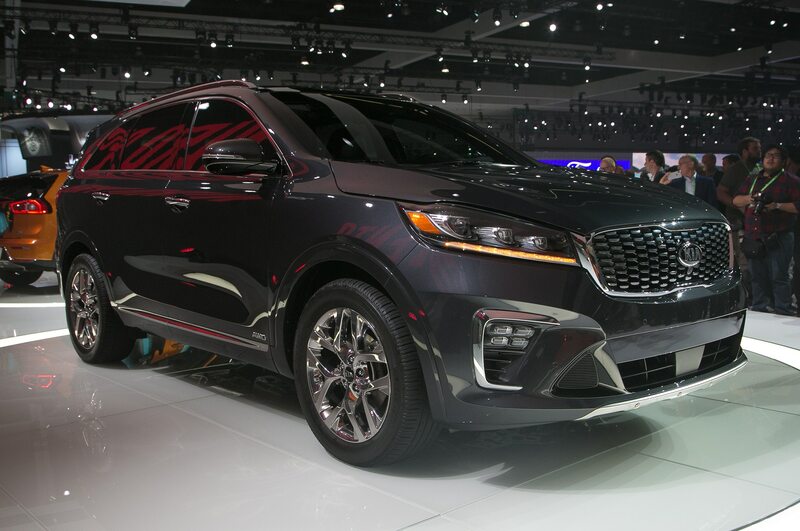 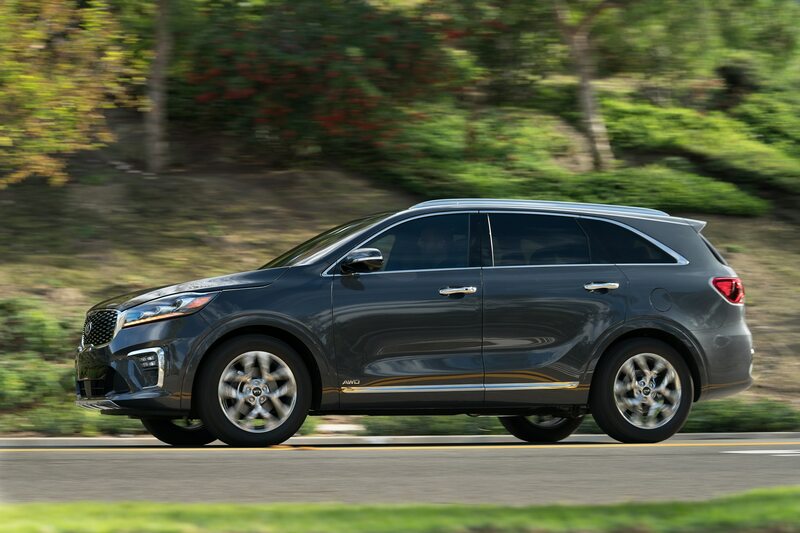 The 2019 Sorento also gets lane keep assist and driver attention warning as part of its full suite of driver aids. 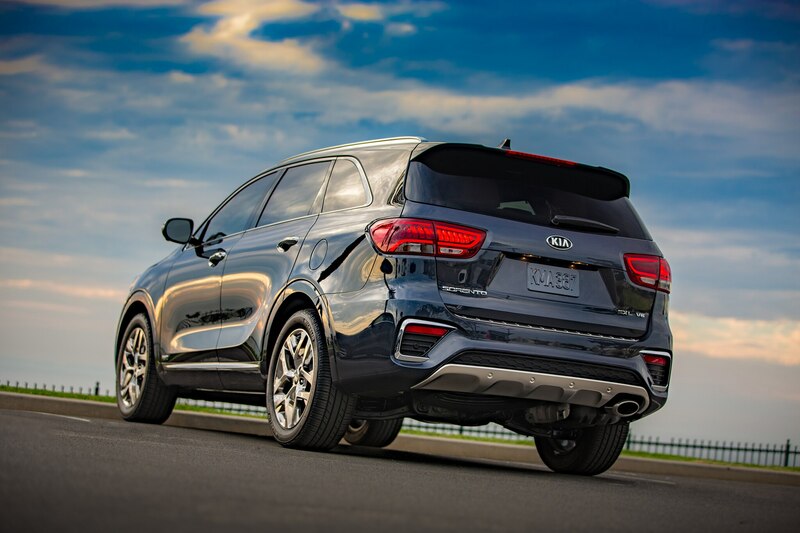 All-wheel-drive models continue to come with a four-wheel lock mode that splits power evenly front to rear and torque vectoring to help minimize understeer. 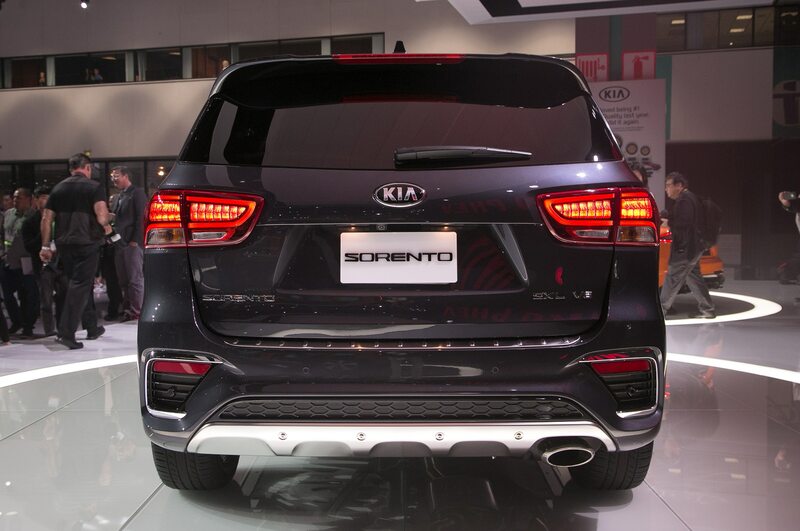 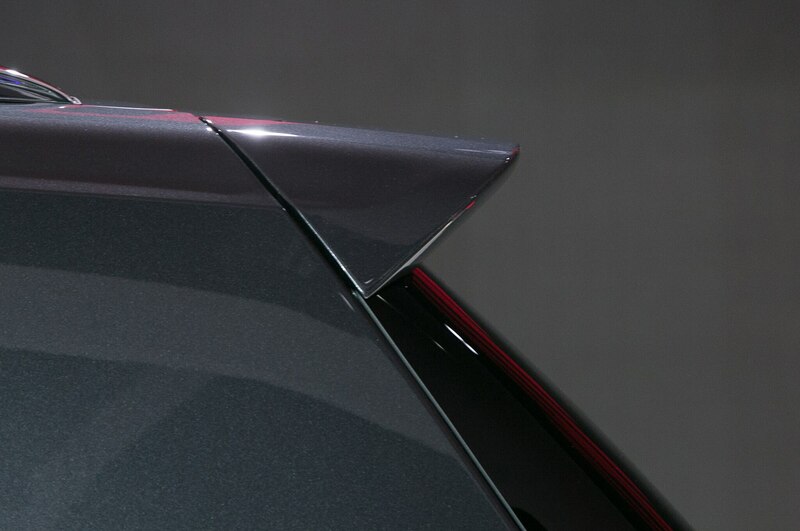 Five trims will continue to be offered on the 2019 Sorento: L, LX, EX, SX and SXL.